The next monthly block drive is up for Covered in Love and this time we're doing strings! These foundation pieced blocks are kind of like potato chips-- you can't do just one. So I've been digging through my strings making blocks. My strings live in an old roasting pan. You might remember that around Christmas last year went on a string quilt binge and actually brought these under control... for a little while. Suffice it to say they are out of control again and I am enjoying putting them to use. 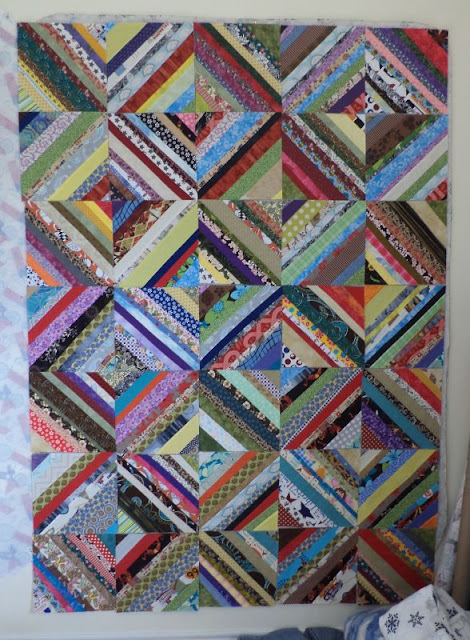 We already have enough blocks for one quilt, let's see how many we can make this month! With your help Covered in Love provides quilts of comfort to families of patients who pass away in the hospital where I work. These quilts do make a difference. If you want to help please check out the main page. I have lots of strings, too, and I'm excited to use them! I'm pretty excited to help out this month. 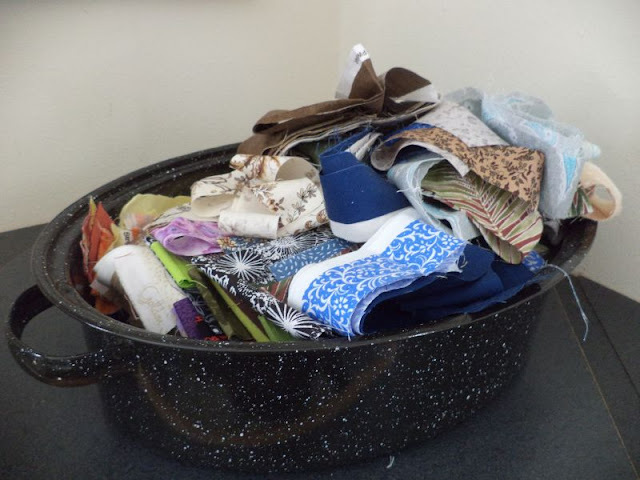 I finally have a reason to dig into the huge tote of scraps that were given to me. Most of them are strings! This is really coming along and looking great.